Upon request we provide site visitors with access to all information [including proprietary information] that we maintain about them, transaction information (e.g., dates on which customers made purchases, amounts and types of purchases) that we maintain about them, contact information (e.g., name, address, phone number) that we maintain about them , a description of information that we maintain about them. 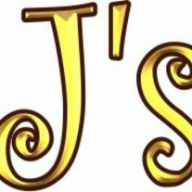 Consumers can access this information by e-mail us at the above address, writing to us at the above address, visiting us at http://www.JOITOs.com. Consumers can have this information corrected by sending us e-mail at the above address, writing to us at the above address, visiting us at http://www.JOITOs.com.